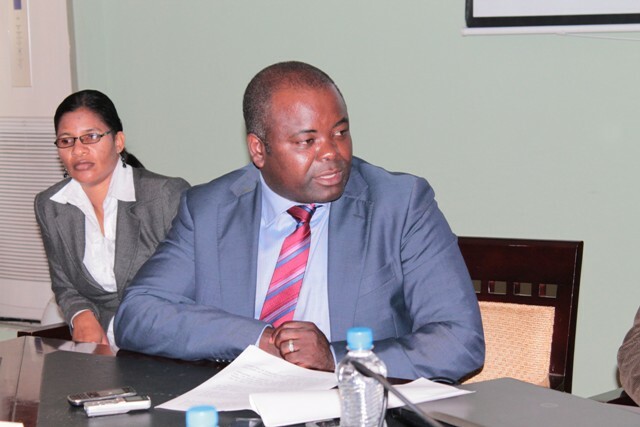 An administration manager at First National Bank (FNB) has testified in the Lusaka Magistrates’ Court that in July 2016, China Harbour transferred about US$300,000 to Andrew and Partners, a law firm that allegedly handled financial transactions on behalf of corruption-accused minister Ronald Chitotela. And the bank official told the court that after receiving US$299,985 from China Harbour, Andrew and Partners transferred US$140,000 to “Lungu C”, among other transactions. China Harbour is a company which the Road Development (RDA) single sourced in 2016 to upgrade the 122 kilometre Kawambwa-Mporokoso Road in Luapula and Northern Provinces, at a cost of about US$148 million. Andrew and Partners is the law firm that is alleged to have represented the Housing and Infrastructure Development minister during the transactions of the purchase of a house in Makeni area, which is believed to be property bought from proceeds of crime. On Wednesday, an employee under the Ministry of Local Government Mary Lubinga who was the first State witness, told the Court that she sold her house which is situated in Makeni, to Chitotela at K1.6 million from the initial price of K2.5 million, but the contract of sale indicated a different name of buyer. Lubinga testified that the payment agreements of the said house was handled between her lawyer from MSK Advocates and Chitotela’s lawyers from Andrew and Partners. When the matter came up for continued trial before magistrate David Simusamba yesterday, FNB administration manager Mwangala Sikombe, 38, told the court that on December 26, last year, she was served with a warrant by Anti Corruption Commission officers concerning one of their customers, Andrew and Partners. She explained that the warrant was requesting the bank to provide documents concerning the transaction between Andrew and Partners and China Harbour Engineering company. Sikombe further told the court the FNB account for Andrew and Partners was opened in June 2016. “On December 26, 2018, I was served with a warrant by ACC concerning one of our customers, Mr Andrew and Partners. It was requesting us to provide documents concerning the transfer which our customer did. My evidence was to show that this client, Andrews and Partners has an account with our bank. This particular account was opened in June 2016,” she said. She testified that ACC also requested for a transfer form of the funds that their client received from China Harbour amounting to US$299,985. Sikombe added that the said amount from China Harbour Engineering company was sent from the Bank of China. The witness disclosed that on July 29, 2016, Andrew and Partners sent US$154,000 to MSK Advocates at Stanbic Bank Mulungushi Branch, for purchase of a property. She disclosed other transactions which occurred between July 27 and 29, 2016 conducted by Andrew and Partners law firm, one of which involved US$140,000 which was sent to a “Lungu C”. “On July 27, 2016, our customer Andrew and Partners received an amount of US$299,985 [from China Harbour]. Then on the same 27, our customer Andrew and Partners withdrew US$5,000 over the counter… On 29, July, 2016, Andrew and partners made a bank transfer involving US$154,000. They later paid out US$140,000 to Lungu C,” she said. However, when she was asked by Haimbe, a defence lawyer, in cross examination whether there was something wrong with those transactions, the witness said there was nothing wrong, which caused Chitotela’s supporters to erupt into laughter. Earlier, Bank of China Public Relations Manager Sandra Kabungwe told the court that a couple of months ago, ACC officers approached Bank of China with a warrant from the court, asking for a mandate file and bank statements for their client, China Harbour. She said after retrieving the said documents she handed them over to the officers. The witness said after sometime, ACC officers went back to the bank and asked for specific transactions from China Harbour account to another account which belonged to Andrew and Partners. Kabungwe said this transaction was in the sum of US$300,000. “A couple of months ago, the Bank of China was approached by officers from the ACC, asking for documents for a client . We were given a warrant from the court. That warrant was given to me and it was requesting for a mandate file and bank statements with reference to China Harbour. China Harbour was one of our clients. After I received the warrant, I verified that that company actually had an account with the bank,” she said. Kabungwe said she then went and retrieved the information from the archives including a contract which was attached to the transaction. When the witness was asked why the contract was attached to a telegraphic transfer, Kabungwe said the bank was required by the Financial Intelligence Center to do so if an amount was high. In cross examination by the defence lawyers, Kabungwe admitted that the bank statement she had brought in court did not tell the full story about the transactions in the China Harbour account because it was for a specific period. Kabungwe further admitted that Bank of China was an international company registered in Zambia. And when defence lawyer James Mataliro asked her whether she agreed with him that China Harbour received funds from outside Zambia into their account, the witness said no.